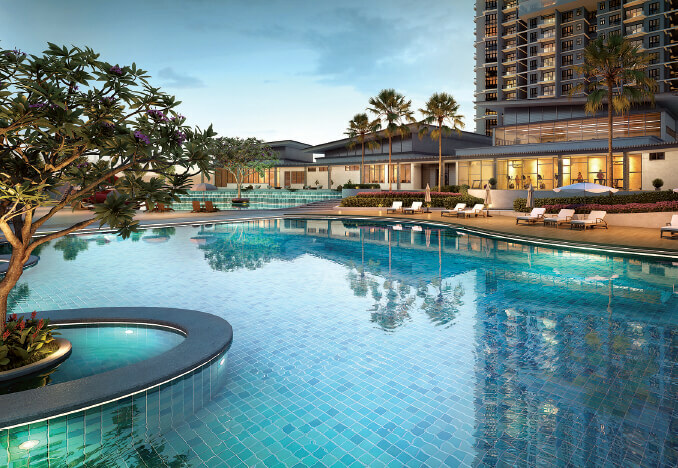 The soft market conditions have proved to be challenging for developers across the board, but some are making use of the opportunity to plan and prepare for the eventual recovery of the sector. 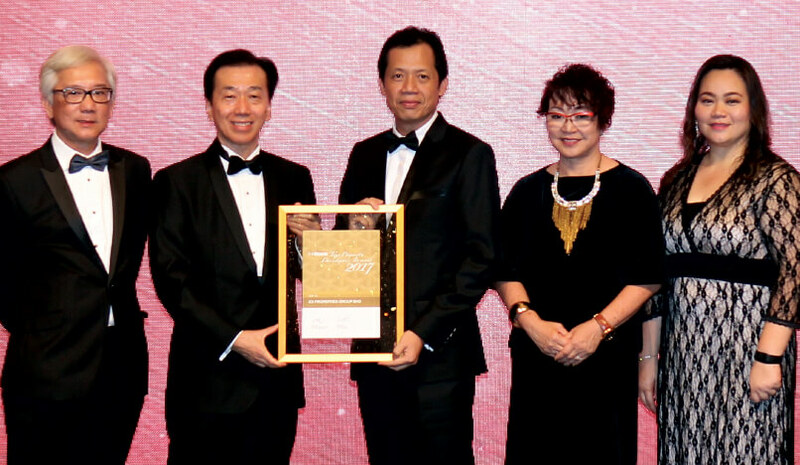 IOI Properties Group Bhd executive director Lee Yoke Har and chief operating officer Teh Chin Guan believe the variety of products the group offers and its expertise has helped it weather these tough times. “This financial year, we recorded our highest revenue figures, which were 38% higher than the year before. In terms of sales, they were also higher than the past year,” Teh says. Revenue came in at RM4.185 billion for the financial year ended June 30 (FY2017) up from RM3.025 billion. Sales totalled RM2.847 billion, up 29% from RM2.214 billion the year before. Teh says overseas projects in Singapore and China contributed about 60% to revenue and sales, with the remainder from Malaysia. “For our next financial year, we think we will be able to achieve the same results in terms of revenue and sales,” says Teh, adding that Malaysia’s contribution will increase next year. “We are optimistic about the Malaysian market because statistics show that this down cycle we are now experiencing has been the longest compared with past down cycles. So there is a good reason for everybody to believe that the market will come back because everything that goes down will comeup,” he says. One factor that Lee believes will take the company to the next level is enhancing its already stringent quality standards across all its products. “We will be putting a lot of effort into elevating our quality standards. Increasingly, all the skilled workers from Indonesia have moved back. So, we are getting unskilled workers to build houses. To what extent can the workmanship be good? This is a very big problem for us. We are putting in a lot of effort in training,” she explains. The group recently acquired more land in Singapore and China. It will be developing 1.1ha (2.72 acres) of prime land in Marina Bay and Central Business District in Singapore in a joint venture with Hongkong Land. Called Central Boulevard, the project will be IOI Properties’ sixth project — and second commercial development — in Singapore. Late last year, IOI Properties won a tender for a 6.2-acre parcel of leasehold land in Xiang An central business district in Xiamen, China, for RMB2.32 billion (RM1.4 billion). It is planning a mixed-use development on the site — its third project in China. Teh and Lee share with City & Country what IOI Properties has been up to of late and what the market can expect from it in the coming months. City&Country: What have been some of your highlights over the past 12 months? Teh: We opened a new hotel, Le Méridien Putrajaya, in August last year and business has been better than expected, with occupancy averaging 70%. Usually for a new hotel, occupancy could be 40% but it hit 70% when we opened it. We have also started work on Phase 2 of IOI City Mall. It will be one million sq ft and will be the largest mall in Southern Klang Valley. Lee: We are expanding because business is doing very well. We are at 98% occupancy for IOI City Mall. In terms of footfall, it is doing very well — we get 24 million to 25 million visitors a year. We hope to have upmarket speciality shops and mid-upper brands. The new mall will have different product mixes and positioning. 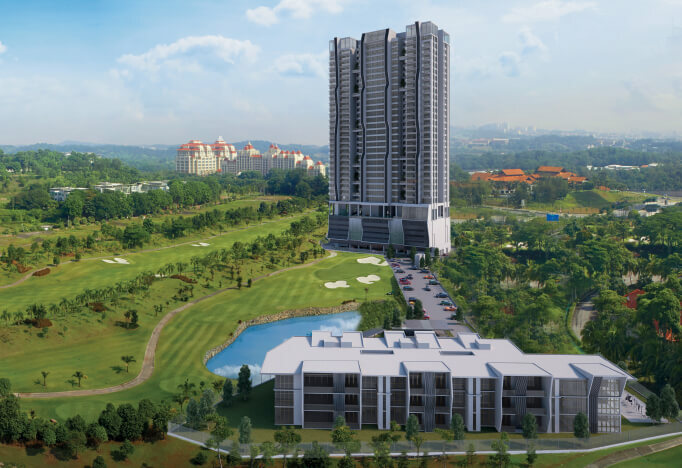 Meanwhile in IOI Resort City, we have entered into a joint venture with Mitsubishi Estate Group to develop a condominium on a 9.6-acre piece of land. It is basically 676 condo units and some will be converted into independent living units for residents. There will be eight blocks with four high-rise and four low-rise blocks. The low-rise blocks will house the independent living units. We think that is very suitable there because we have a variety of amenities we can capitalise on. Also, we are planning to have a full time nurse and some basic care. If they do need advanced care, we are also able to provide that service — we are currently in talks with a service provider for aged care. Teh: In our Bandar Puteri Puchong development, we are further enhancing it by upgrading the existing interchange. There will be no traffic lights and it will be a free-flow interchange. Construction is underway. Even though we have a remaining land bank of 100 acres in the 2,000-acre township, we are still giving back to the community by upgrading the interchange for our earlier buyers. We are spending RM20 million in upgrading the interchange and will spend another RM50 million to upgrade the infrastructure in the township. We still have products to sell there and our office tower is doing well. We have a lot of multinational companies operating in Puchong. Some might say the area is suburban but we have Mazda, OCBC Bank, Bank of China, Fonterra, AIG, Hitachi Metal and Sumitomo. We have a Four Points by Sheraton Puchong. We took a risk when we built a hotel there because we were not sure if it would be successful. Now, we wish we had built more rooms! Are you looking to build more investment properties? Teh: We are definitely building up our investment property portfolio. Our rental floor area now for shopping mall and offices has reached 1.6 million sq ft. I think that is larger than some REITs. And we are still building, especially in Singapore, like our Central Boulevard project. We will start physical work, hopefully, by the end of this year. Right now, if you look at investment property’s contribution to the group, it is over RM300 million because a lot of investment property isn’t fully mature. One day, it will be more substantial, and it is possible we will put them into a REIT but we have not started on that yet. In anticipation of a market recovery, what strategies have you put in place? Teh: Right now, there is a lot of talk about affordable housing and we have land in Bangi, Kota Warisan, near Xiamen University, to do that. 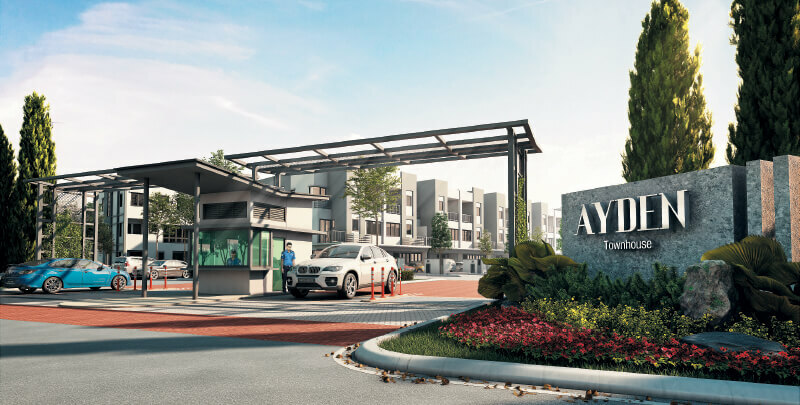 We are selling a full facility condominium with units with a built-up of 1,000 sq ft. And when the market turns around, we also have products to cater for higher-income consumers. So we can cater for any market at any point of time because we have the advantage of land bank in different geographical areas. Lee: For a project to be planned, it takes two years. You have to make a good guess to know when to launch. We have a variety of products that we can sell any time. So we proceed with the planning and then we just wait. In Bandar Puteri Puchong, we have 100 acres left. A lot of people do not know that — they think we are almost fully built. 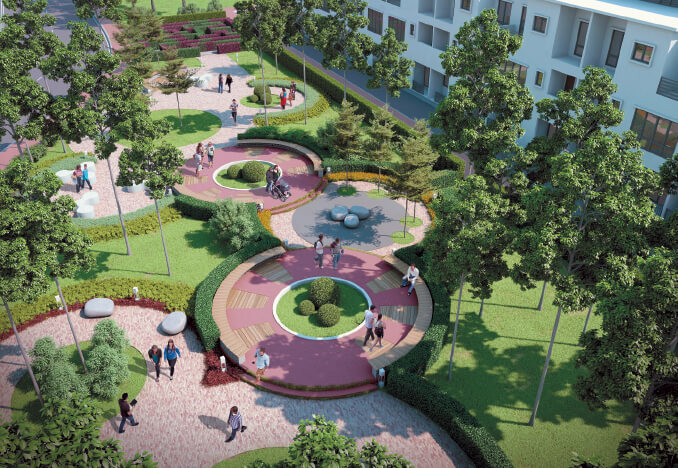 Of the 100 acres, 80 acres in the central area is set aside for IOI RIO City. ‘R’ stands for rejuvenating, ‘I’ for innovative and ‘O’ is original. We have firmed up the master plan for this exciting project because it is going to transform Puchong to be on a par with places like Solaris Dutamas and, to a certain extent, Bangsar. Firstly, we are diverting all traffic underground to a designated car park. This is good because it will reduce pollution above ground and this frees up more land for greenery, pedestrians and cycling paths. Also, every development there will be interconnected. We all know that Malaysians are lazy to walk. So, in order for this to be workable, we will plan the interconnecting links to pass retail streets or go through pocket parks. Why can you walk miles in Orchard Road but here, 200m is too far? So we have to make sure the paths are shaded so that it is cooling to walk. We are very excited and there will be a lot more high-rises so we can free up more areas for greenery. We have already started on Phase 1 and have completed up to the ground level. Lee: As far as marketing is concerned, we have embarked on online marketing for the last two years. When I say online marketing, it is not like how some others do it by putting Facebook ads or going to an agency and placing ads with them. We do it in-house, which means to say we can actually monitor our ads on a daily, if not, weekly basis. If the response is not good in terms of number of clicks, in terms of cost per click, then we will change our ads to ensure we get the response we need. So, in that sense, it is real-time monitoring on the returns on our investment. And we will be using technology. Basically, it is using technology as an enabler to provide more personalised service as the trend is that people will want personalised service. Even though it seemed impossible about five years ago, with technology it is possible. So we have launched apps that can provide better service to our customers. For example, after handover, they use this app and check their account status — this is for condominiums. They can have an automated visitor management system where visitors are given a QR code, scan in when visiting a friend, and scan out when they leave. Notifications can also be sent on information such as when the lifts are down and when they will resume, or if there is a change in rules. So, in that sense, it is personalised. We are looking to extend this app to cover other services even before you become our customer. At the moment, we are just providing services post-handover.